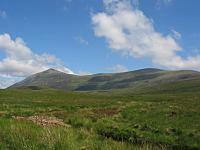 Meall nan Con is the highest top of Ben Kilbreck, a large mountain with long ridges. 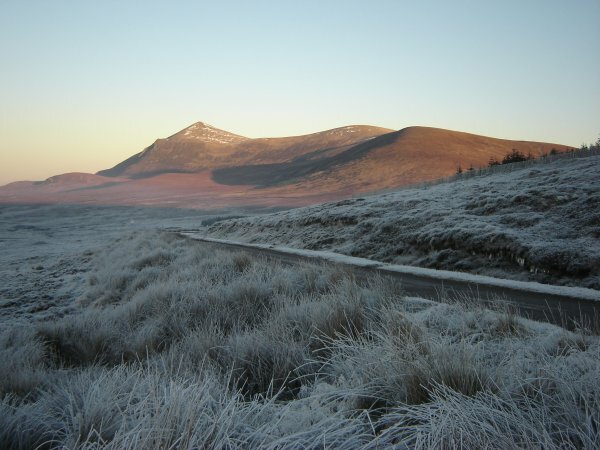 W of the summit is a shoulder A' Chioch (747m) with craggy NW slopes from where a ridge runs S to Carn an Fheidh (808m) then divides to produce several branches. The usual and shortest ascent route is from the A836 road to the col N of Carn an Fheidh but an ascent is also possible from the S on the path through Beallach Easach. 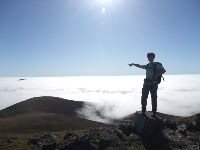 The long NE ridge to the minor top Meall Ailein (724m) does not lead to an access route but its SE ridges are accessible from the road to Alldalaird. Ben Klibreck from the A836. December 2007. 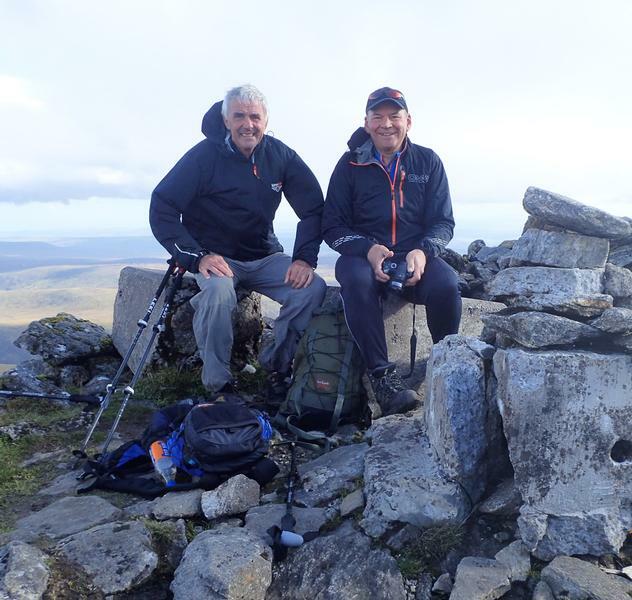 The summary information of one or more ascent routes that include Meall nan Con. 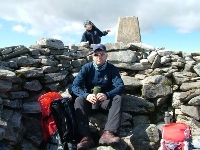 1 821 m 11.08 km 4 hrs Meall nan Con Easy route over moorland, with some steep grass slopes. Summit of Ben Kilbreck with some unexpected company. 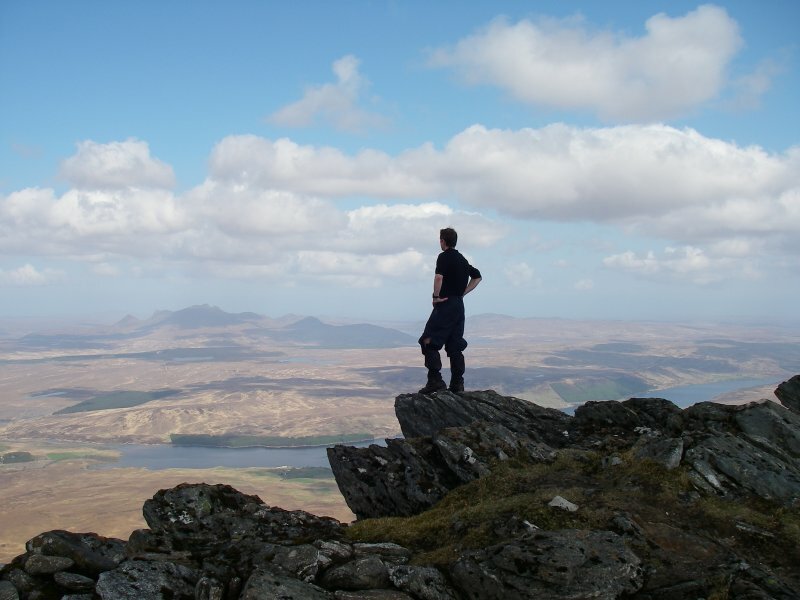 Post a few words about Meall nan Con or read what others have had to say. 18 August 2010. Ascended by Graham Ellis route of 2007. Slightly boggy on start then a pleaseant ridge walk. Recommend Crask Inn hospitality. 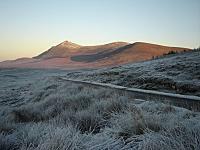 Apparently a Vampire aircraft crashed in 1955 north of summit near Meall Ailein (monument SE of here), but unable to view due to time from climbing Ben Hope in the morning. Followed the Geo Ferguson suggested route starting at NC 53242712, following the 4x4 trail, and the Vince Harrison path. However, from the summit I took the SSE shoulder down to Loch a' Bhealaich to pick up the track going SW over Bealach Easach then turning W back to the Crask Inn. It makes the walk a more interesting circular route. The Crask Inn is definitely a place to stay with excellent home cooked food. The Landlord gave me a lift back to my car parked at the bridge further north. 16th June 2007. We followed Geo Ferguson’s suggestion for parking and it did not take long to cross the boggy section before climbing Cnoc Sgriodain. 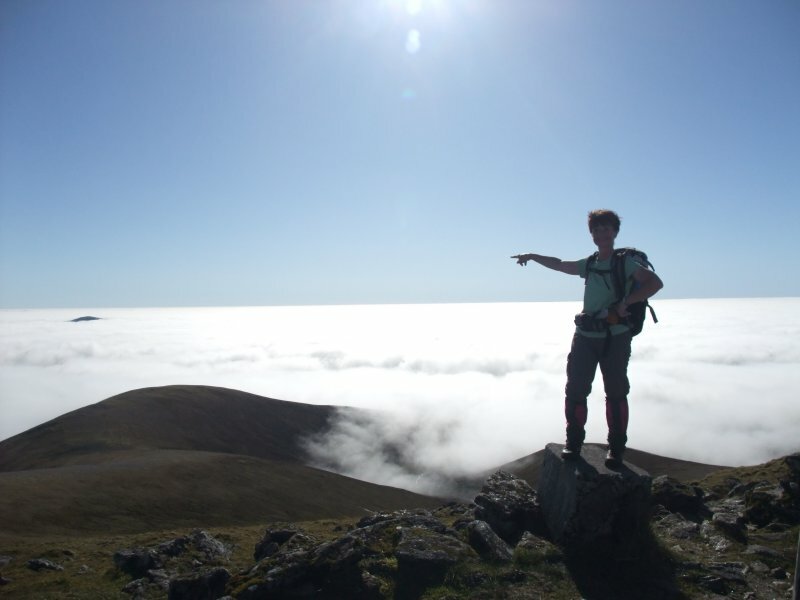 A path, mentioned by Vince Harrison, begins at 570276 at 670 metres and contours round Carn an Fheidh to the 688 metre spot height. We started a wee bit further north than the route here ending up at the north side of Loch nan Uan and returned the same way. Easy approach and ascent but then it hadn't rained for a month. 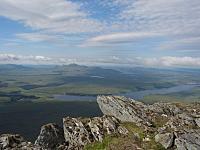 We combined with Ben Hope no problem and were easily back to the pub in Lairg for food & beer (via the Crask Inn). I'd certainly agree with other users: I made the mistake of doing this on the same day as Ben Hope, and came back in moonlight. Very soggy ground, went up by Creag an Lochain and along ridge. 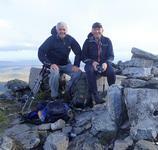 Came off Ben K to south, then swung west and down from col on wet & rocky 'path'. Slid down grassy slopes on backside to Loch nan Uan.